This guide will assist you in researching religion as portrayed in the Canadian news media. The guide highlights several key database sources accessible at most Canadian universities, and provides training materials to these sources. Links to the Team Member Institutions Library Collections. Researching any topic in the news used to a be a tedious process of reading in print (or microfilm) national, regional or local news. Now database collections allow for keyword searching across vast collections of print media. This guide will introduce you to several key Canadian research tools. These tools are Factiva, Eureka, and Globe and Mail. Google News is also a useful source though it has some significant limitations. 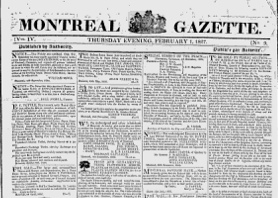 Some newspapers also have their own online archives, although access to more than recent editions may require a subscription. Before you choose your research tool, spend a couple of minutes thinking about the kind of data you are seeking. Time - What is the relevant time frame? 1997-2000? May 2007-Aug 2008? Tuesday, September 11, 2001? Location - International or Canada? National story, regional or local news? Language - English or French? Genre - News item? Advertisement? Opinion/Editorial? Letter to the Editor? Classified? Obituary? Keywords - What are the keywords (names, things, events, places) you are seeking? Are there related terms (e.g. niqab or burka; vicar or parson)? Are there synonyms (sanctuary/asylum; Mormons/Latter Day Saints)? Can you broaden and narrow your search terms (Broader Term: Protestants, Narrower Term: Baptists)? Are there variations is spelling especially for non-english/french names or terms (Muhammed/Mohammed/Mohammad)?